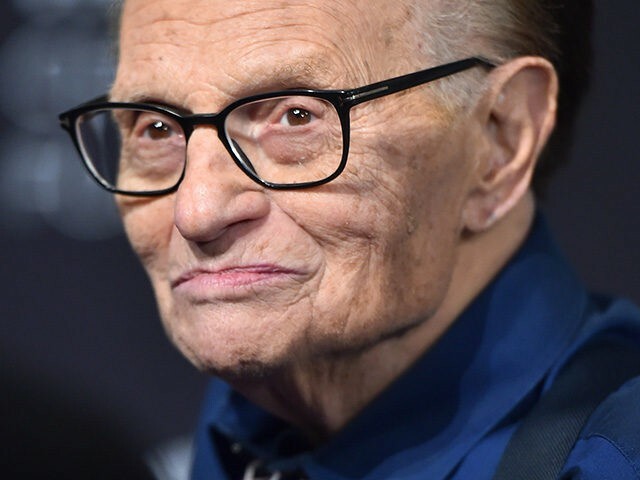 Former CNN host Larry King criticized his former colleague White House correspondent Jim Acosta for his testy exchange with the president during a press briefing earlier this month, calling his conduct “a little out of line” in an interview this week with Law & Crime’s Jesse Weber. On Friday, a judge ordered the White House to immediately restore Acosta’s hard pass press credential Acosta that was temporarily suspended following the back-and-forth. WEBER: Do you think it was appropriate for the Trump administration to revoke Acosta’s pass? KING: There’s interesting questions back and forth on this. I was interested to know Bob Woodward thinks the White House is correct. Others have a division of opinion. I’m not a lawyer. Freedom of speech, [I’m a] big supporter of freedom of speech. But on the other hand there are 50 press passes for CNN [for] the White House. So do they have the right? The White House is our house. Trump is using it but he rents it from us. We give him the privilege to use it because he is our employee. You know that? Trump works for us. Since he works for us, he should — of course, I’ll stand with Acosta, CNN, and Fox. Even Fox is in on it. WEBER: What did you think about Fox siding with CNN on that? KING: I think the legal people at Fox were smart because you could have another president in three years who throws a Fox reporter out. WEBER: The argument in favor of the Trump administration is [Acosta] hijacked the press conference. He would give up the microphone. Trump answered his questions, wouldn’t relinquish it and when someone tried to take the microphone away, he moved her aside. KING: Jim was a little out of line. I wouldn’t have gone that far, he answered one or two questions, then he didn’t want to answer anymore. You got a room full of people, all of whom have the right to ask questions. Jim might have gone a little far. I’ve been in the business 61 years, and I always felt that the guest was the star. The person you’re asking the question of is, for want of a better term, is the star. At a Trump press conference, Trump is the star. You try to learn as much as you can from him, but you’re not bigger than him. It isn’t about you. It’s about him.